We have another chance to flip a Republican House seat! On May 25th there will be a special election in Montana to fill the seat vacated by Republican Ryan Zinke who became Trump's Secretary of the Interior. The race is looking very close and we need to do whatever we can to help Democrat Rob Quist defeat Republican Greg Gianforte for Montana's only House seat. 1. Reach out to anyone you know in Montana and urge them to vote for Quist and to spread the word to their communities. 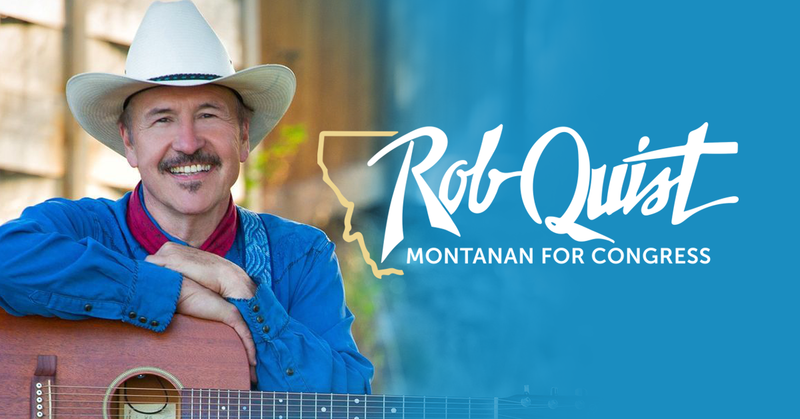 Montana is unusual is so sparsely populated that it has only one House seat so everyone in the state who is registered can vote for Quist on 5/25. 2. Donate to Quist's campaign. 3. Sign up to make calls for Quist's campaign. 4. Share this post on social media and via email to reach more people in Montana. If you'd like more info, here are some articles about the race. The Atlantic: Are Democrats Doing Enough to Flip Montana's House Seat?